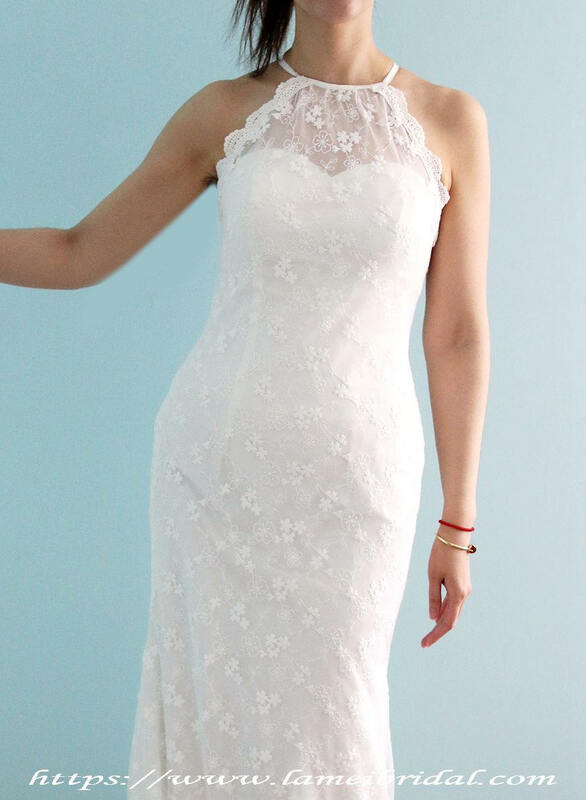 This wedding dress US8 is being sold as a sample from my bridal salon. 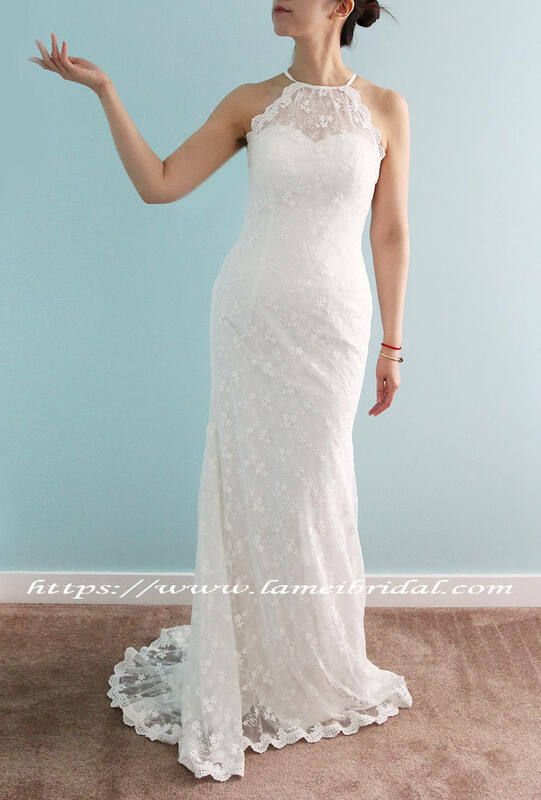 A sensational sheath style gown! 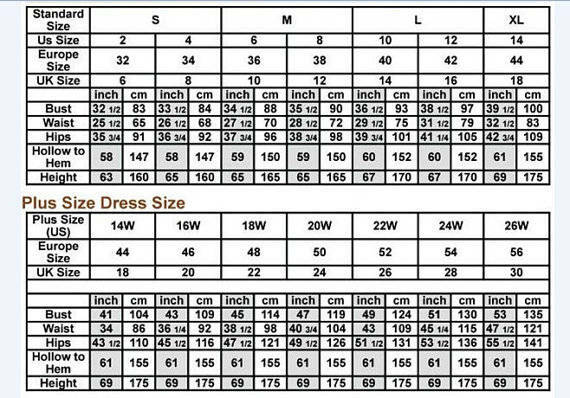 Convo me if you want the measurements. 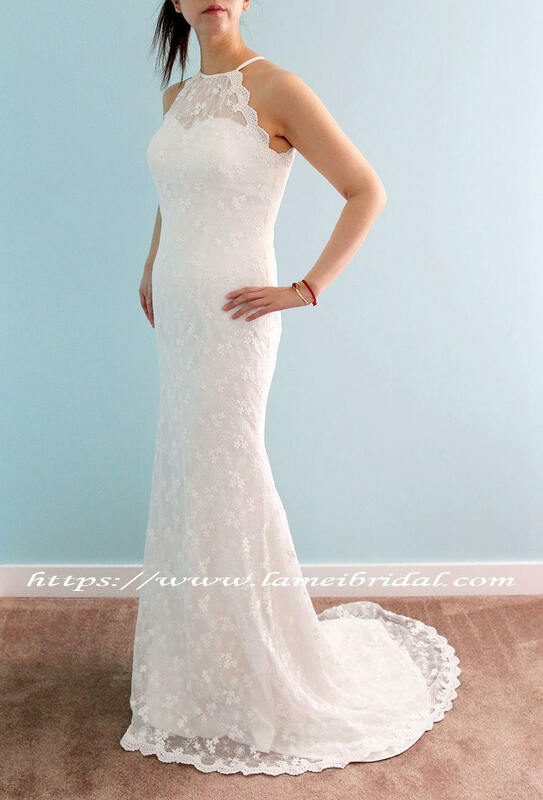 The sample dress is made from an ivory-white bridal charmeuse underlay with a beautiful ivory-white lace overlay. 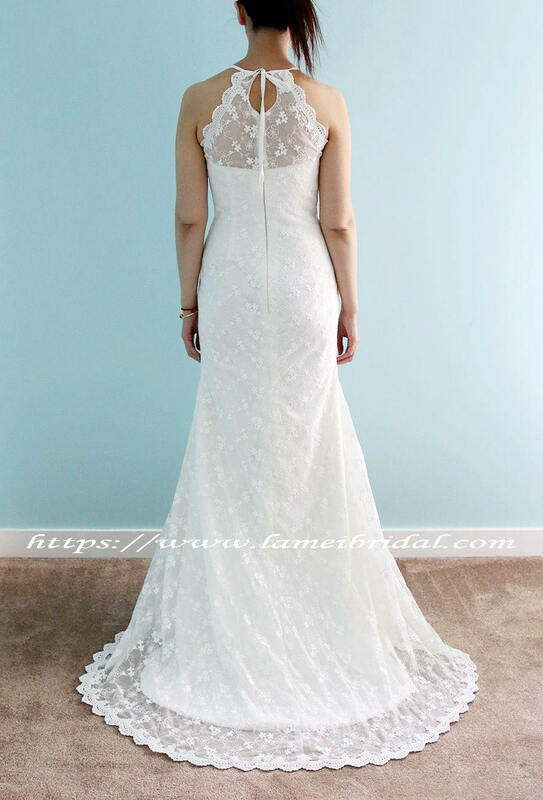 The sweetheart neckline with sheer illusion tulle is simply stunning. Please contact me about having this gown remade in your size, with your choice of any underlay color.